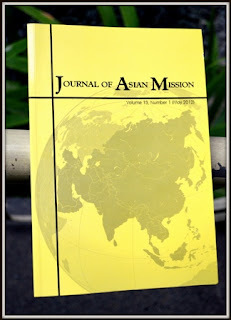 The Journal of Asian Mission published in the Philippines and edited by Anne Harper, is focusing on new religions in a special Spring edition. Two book reviews of mine will be included, as will the following essay: "Walter Martin was Wrong: A Critique and Alternative to Evangelical Hermeneutical and Methodological Approaches to 'Cults.'" Abstract: For many decades Evangelicals in America and the West have drawn upon a “counter-cult” approach to certain religious groups. The late Walter Martin is an exemplar of this model. This “heresy-rationalist” approach involves a contrast of Christendom’s orthodox doctrine with heretical deviations, and is often accompanied by an apologetic refutation of a religious group’s doctrine and worldview. This approach can also be found outside the West, impacting places as Asia and India. But what if the assumptions of this approach were wrong? This essay describes popular Evangelical assumptions about “the cults,” both in terms of a biblical hermeneutic, and the methodology of engagement that arises from this. A critique is offered, and then an alternative hermeneutic is presented. Consideration is given to the need for sociological assessment of the effectiveness of Evangelical counter-cult methodologies, and a cross-cultural missions model is presented by way of alternative to contemporary ways of engaging various religions. The essay can be read here, and a review of George Chryssides' Historical Dictionary of New Religious Movements, 2nd ed., can be found here.